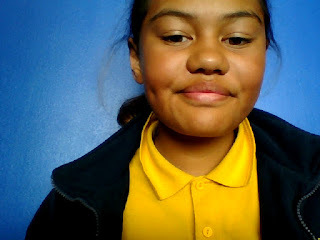 Kia ora my name is Lyric and I am a year 8 student at Tamaki Primary School I am 12 years old. This year I am learning in room 10 with the great miss Aireen's class, in her class I think I will improve much more than any other class. This term i will be working on raising all of my learning levels, like maths, reading, writting and art. My Favorite subject in school would have to be maths, because as we all know numbers never stops so that mean learning will never stop. In 2016 I am looking forward to completing all of my work that has been given to me.